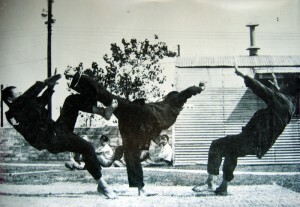 This Gallery contains photographs of Grand Master Choi practicing, demonstrating and promoting Hap Ki Do all around the world. Some notable locations include, the Shaolin Temple, the I.H.F. headquarters in Incheon, Saudi Arabia, the shrine of Bodhi Dharma and other historical mountain training grounds in China and Korea.